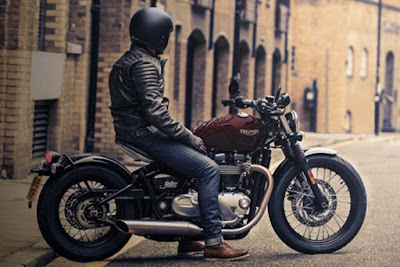 To complete the selection of large motorcycle models that has a retro style, modern technology for 2017, the British motorcycle manufacturer Triumph adds a new motorcycle variant, called 'Triumph Bonneville Bobber' which premiered in the UK. In contrast to a row of new motorcycles from Triumph have launched previously on the Intermot 2016, such as Street Racer 900 and T100 that carries a 900 cc engine, the Bonneville Bobber carrying more larger engine, ie 1,200 cc adopted of T120 with the parallel-twin HT (High Torque) tech. 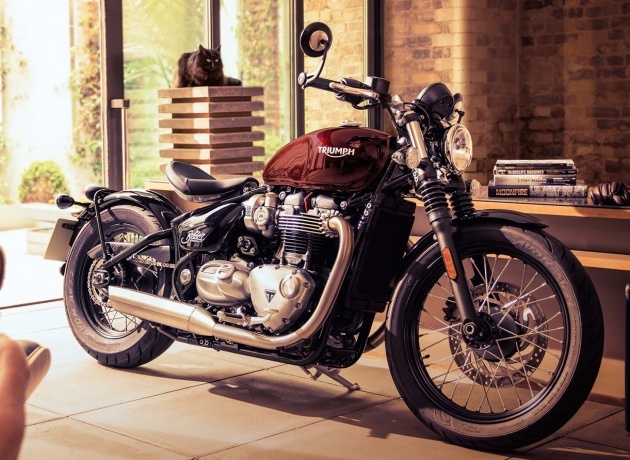 Compared with the standard version, the engine is mounted on a Triumph Bonneville Bobber has a number of changes which is claimed to improve performance and remain economical in fuel consumption. 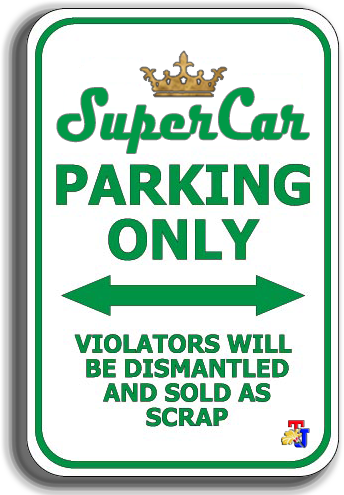 These changes include the engine's airbox, intake and exhaust. 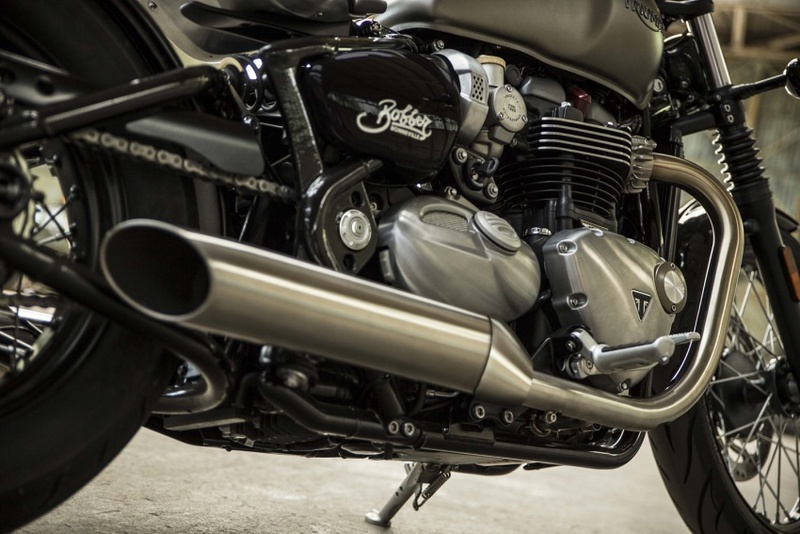 The part of silencer exhaust has cut into shorter, and weight also becomes lighter than the T120. 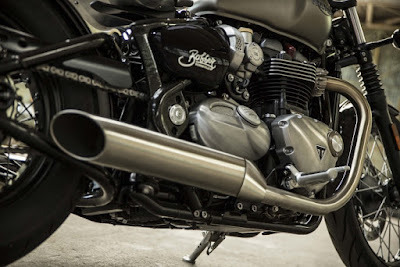 The exhaust cutting also support the increased power of the Triumph Bonneville Bobber. In addition, a number of technologies are also embedded to strengthen this bike, including antilock brakes, Ride By Ware, traction control buttons and torque-assist clutch. 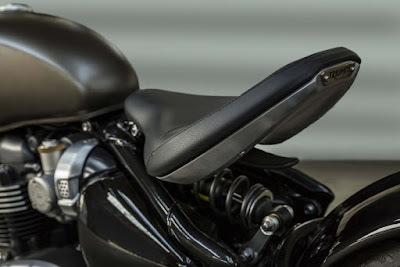 As for the appearance, there's typical retro fuel tank combined with bobber distinctive style solo seat.